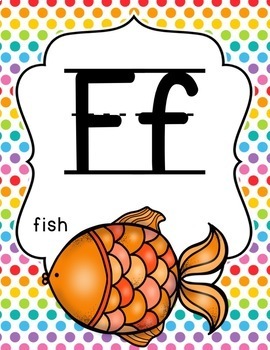 These bright and fun primary alphabet posters will add the perfect pop of color to your classroom. 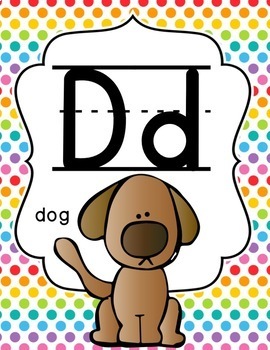 Each poster has an adorable initial sound animal clipart picture to help students when recognizing initial sounds. If you're looking for a colorful classroom theme for your classroom, check out my other rainbow themed classroom products. 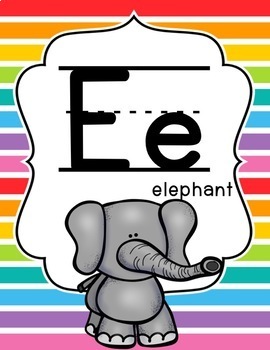 These posters will be a part of my rainbow classroom theme decor bundle that is coming soon. More products are on the way! 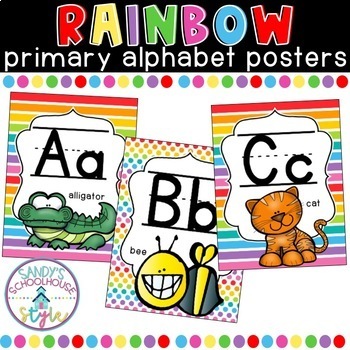 Check out my other rainbow classroom themed products HERE!